So I got the opportunity to see Handmade Nation, Faythe Lavine‘s documentary on the Handmade movement, this evening at the Portland Museum of Contemporary Craft. I sat from the first chords of “Hands On” during the opening credits all the way until the closing reel with a smile on my face, relishing the thought of seeing this film again. As a nod to the movement, and in hopes of sharing just a shred of that feeling with you, I present Must MAKE Monday. Since my goal is to make all handmade gifts this year, and I don’t want any of those recipients to have the surprise ruined, all these Must Makes will be things I want to make for myself or my girls and not gift projects that I have planned. I have always wanted a beautiful picnic blanket. 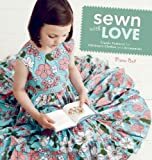 This Sew, Mama, Sew tutorial by Erin from house on hill road is well written and looks like something I’m ready to tackle. Finding all that floor space inside my house might be a challenge, but I’m sure I’ll figure it out. And I love the rock pockets. So cute! I’ve been looking for a good fabric bucket tutorial ever since I saw the buckets on sewing momma‘s Etsy shop site. I was just going to try and figure it out on my own, but now thanks to Pippijoe’s tutorial, I don’t have to. I just love all the helpful comments on this one, too. Once I’ve made a few of these, my sewing studio should be well organized, no problem! right. We always have a problem keeping the house cool in the summer. I’m hoping that adding some lined curtains will do the trick. Extremely detailed, with beautiful pictures and a real professional feel, this tutorial from Purlbee.com will help me not only save money on buying curtains, but also save money on my energy bills. A Must Make for sure! I’ve already made the bloomers from Heather Ross’ Weekend Sewing book, but now I really want to make sun dresses for both my girls. I’m thinking that Heather Ross’s new fabric collection, Far Far Away, (of which I just won a bundle in this is love forever‘s giveaway! YAY! ), will make beautiful sun dresses. I love that these dresses can be worn as shirts as the girls get older. They are practical and dreamy all at the same time. Perfect! I really have been wanting to make my own clothes. Tonight at the Handmade Nation showing, the museum folks were photographing audience members who were wearing or had brought hand made items for a flickr.com group. I would have loved to have made something to show. So now I’m going to! Spring is here; when better to try it. Polka Dot Cottage‘s I like my skirts fast and cheap tutorial is calling my name and I have just the thrift store sheet in mind. Lisa says it’ll take 1/2 an hour. Sounds like a good nap time project. PZ really, really, really wants me to make the bear from Jenny Ryan’s Sew Darn Cute book. It is one of the next projects we’re starting. We’ve already picked out the fabric and PZ has named him Strawberry Bear, so I might add some appliqué as well. I think it’ll be a really fun project for the two of us. She has begun to “sew” with me, i.e. putting push pins into the pincushion, sorting buttons, playing with scraps of fabric. I think she is already starting to pick up on the joy that I am finding! This is a pattern for a swing shirt that I bought from Kitschycoolkids‘ Etsy shop. I will most likely make one of these for both girls. I like that they’ll be able to wear it for a long time and in all seasons. It is also reversible and can be worn to button in the back. This little shirt is extremely versatile which means it is a Must Make, for sure. I’ve been wanting to make some more cloth napkins for a while now. With spring flowers blooming all around me, I feel the need to have new and pretty things inside, too. The Inside Out Rectangle tutorial from Spool looks so easy and these napkins would be a great way to sop up some of those creative juices. Every new season needs a new handbag, and this tutorial from Craftster shows me how to make the Must Make one for spring. Stylish and super cute, I love how big it is! I should be able to fit all the kids’ stuff and my stuff too. If you get to make any of these, I’d love to see the finished project. Or if you have a tutorial you’d like to share, I’m always looking for inspiration and instruction. I’ll, of course, let you know (and probably see) how these Must Make projects come out. This entry was posted in Must have lists and tagged bloomers, craftster, documentary, Etsy shops, fabric basket tutorial, Far Far Away fabric, Faythe Lavine, flickr.com, giveaway, handmade, Handmade movement, Handmade Nation, Hands On, Heather Ross, house on hill road, Jenny Ryan, joy of handmade, joy of sewing, kids clothing, Kitschy Coo, kitschycoolkids, lovely lined curtains tutorial, make clothes, making kids clothing, Museum of Contemporary Craft, must Make Monday, nap time project, napkins tutorial, picnic blanket tutorial, pippijoe, polka dot cottage, Portland, purlbee, PZ, reversible shirt, rock pockets, save money, Sew Darn Cute, sew mama sew, sewing, sewing momma, sewing patterns, sewing studio, sewing tutorials, sewing with kids, skirt tutorial, spool fabric, spring bag tutorial, storage, strawberry bear, sun dresses, swing shirt, The Handmade Experiment, this is love forever, thrift store sheet, tutorials, Weekend Sewing book. Bookmark the permalink. Great inspiration! I might have to start a list like this, as I always see projects I’d like to start as soon as I have a few minutes. I’m almost finished with Lila Tueller’s Bohemian Bag, which was my first try at quilting. Then, I have to make three commissioned chickens. Then I’ll get to hit all those tutorials I’ve saved for later! If only there was a tutorial on how to find time to do all the tutorials! 🙂 Thanks for the comment and happy crafting!